This hands-on course is designed for System Administrators who are implementing a cloud computing environment using Red Enterprise Linux OpenStack Platform (RHEL-OSP). 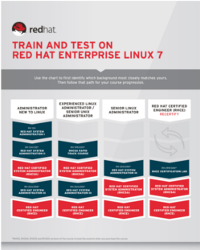 You will learn how to install a proof-of-concept, configure, use, and maintain RHEL-OSP. This course covers the core services: identity (Keystone), block storage (Cinder), image (Glance), networking (Neutron), compute and controller (Nova), and dashboard (Horizon). Each module ends with a hands-on lab exercise. Linux System Administrators and Cloud Administrators who are responsible for maintaining a private cloud.